It was on the menu last night so I thought I’d share it again, here at Veggies… Let me know if you give it a try. Here’s the link to the original post, with recipe and comments. 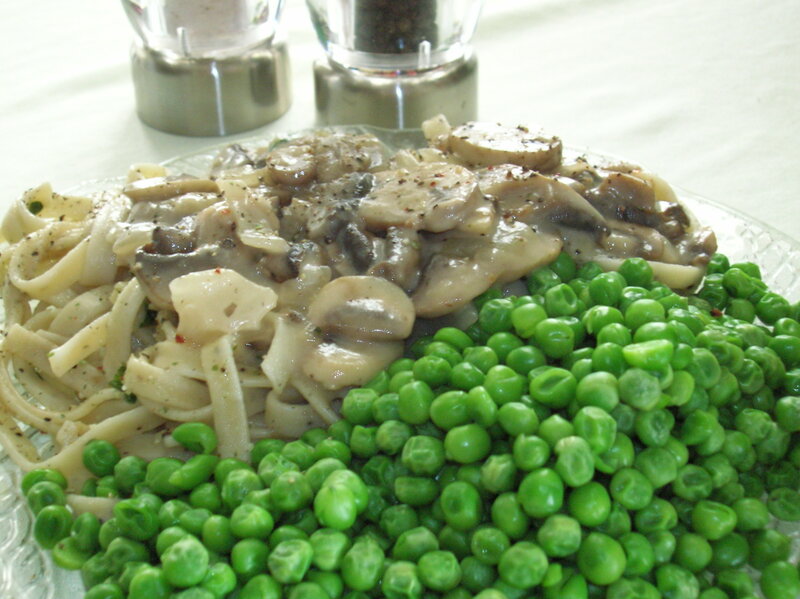 Phew, the mushroom Stroganoff looks good, I do the same recipe without the flour ~ yummy! Well I love all things mushroom, so I will definitely give it a try. Mmmmmm. Looks good. This will be on my menu list for next week. How do they sell the mushrooms there? Ours come in clear plastic boxes that I reuse for seed starting. Hi Andy, Welcome and thanks for stopping by. The flour is a little that goes a long way. I like sauces thickened a bit, texture is so important in cooking. Sometimes I sub. 1 T. cornstarch in lieu of, works fine too. Hi Sel, Me too. Mushrooms, all kinds, can’t get enough of!!! Happy Weekend and don’t forget Earth Hour on Sat. 8:30 PM local time.